If Jersey Water is unable to install a water meter on the supply to your property you will be charged for water on the Domestic assessed volume tariff. 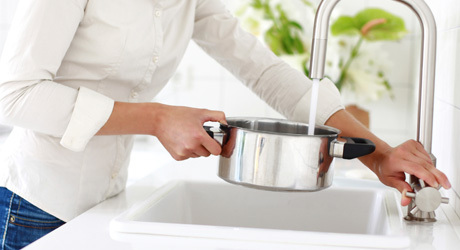 The Domestic assessed volume tariff is based on the average amount of water that a metered household consumes. It is a fixed charge per occupant normally resident in the premises and is charged quarterly in advance. You must inform us if the number of occupants in the premises changes. Should it be possible for a water meter to be fitted at a later date, or if Jersey Water agrees to install a meter (where it had previously declined to do so), then a meter will be installed free of charge and your water tariff changed to a actual measured basis. Please note that the Domestic Assessed Volume Tariff is not available for commercial customers.